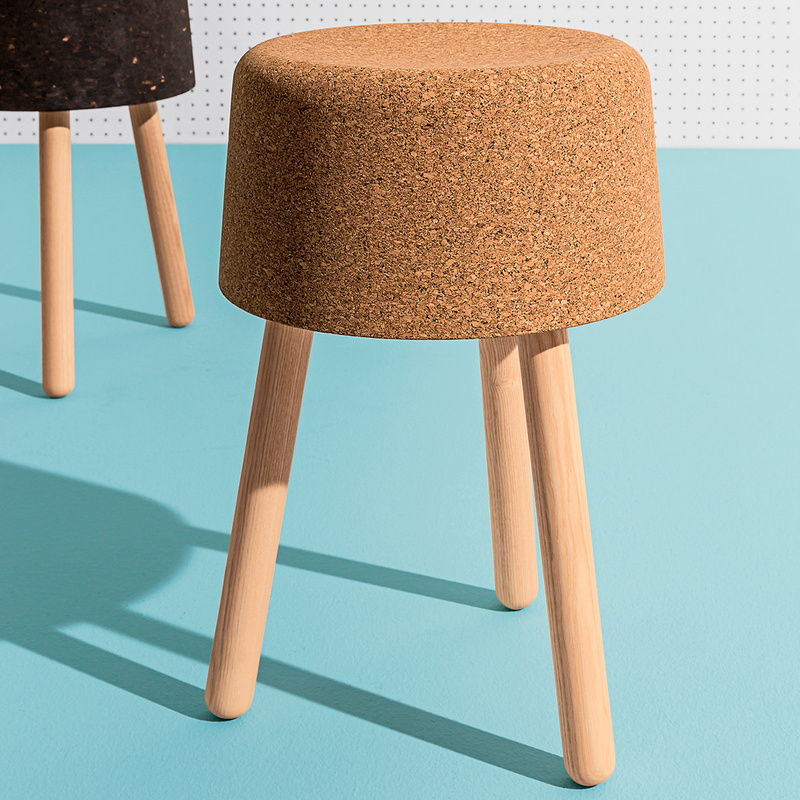 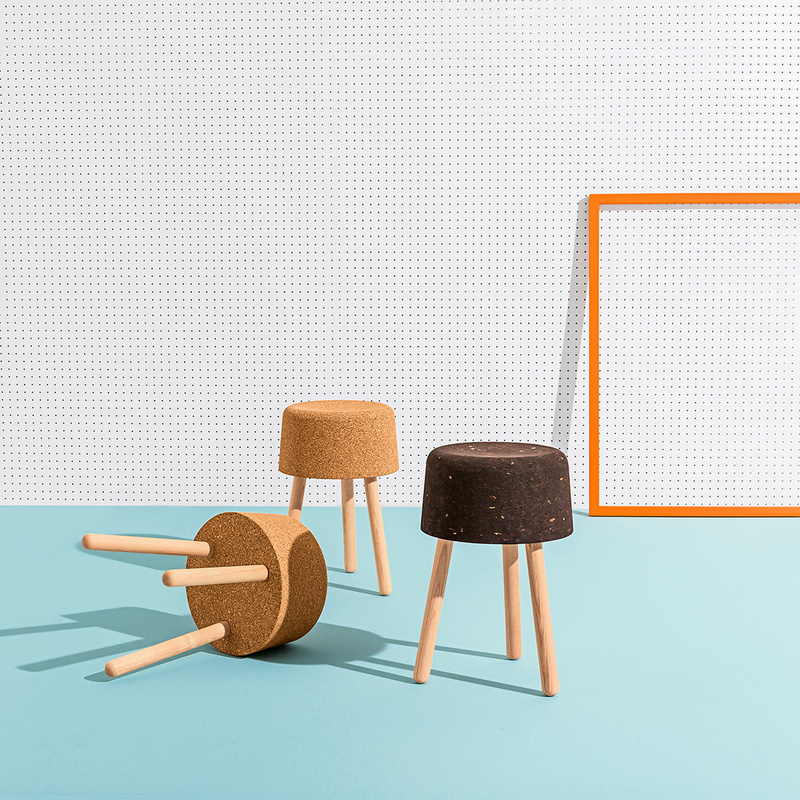 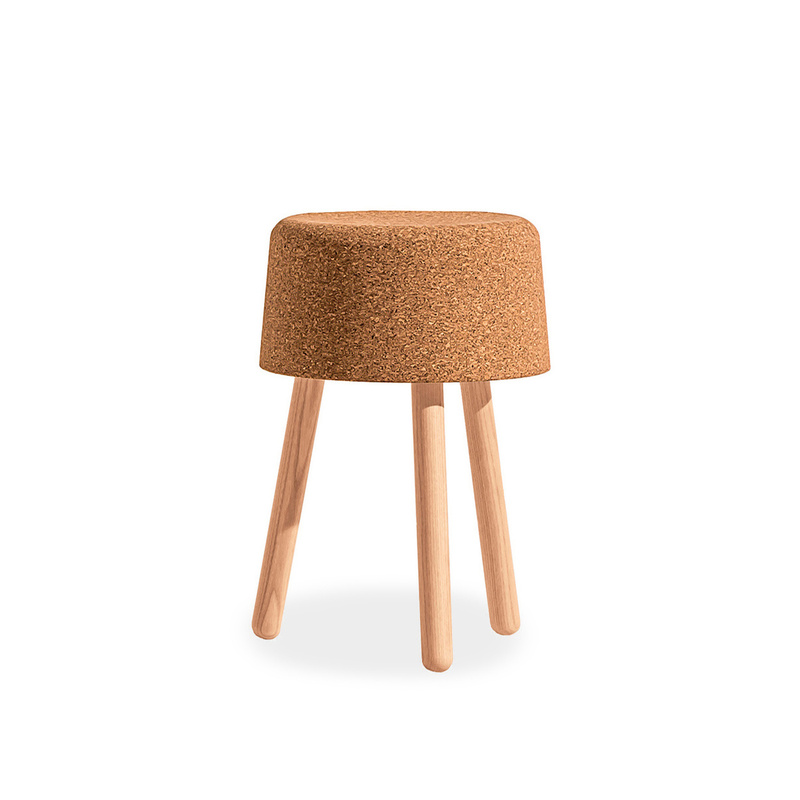 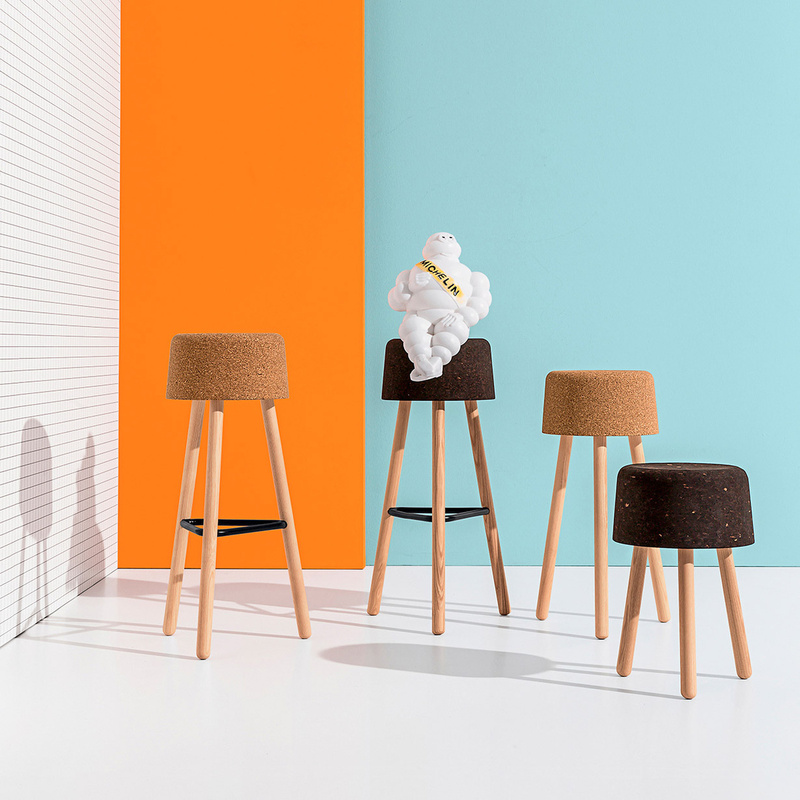 Bombetta is a stool with a natural cork seat protected with natural oil, and natural ash legs. 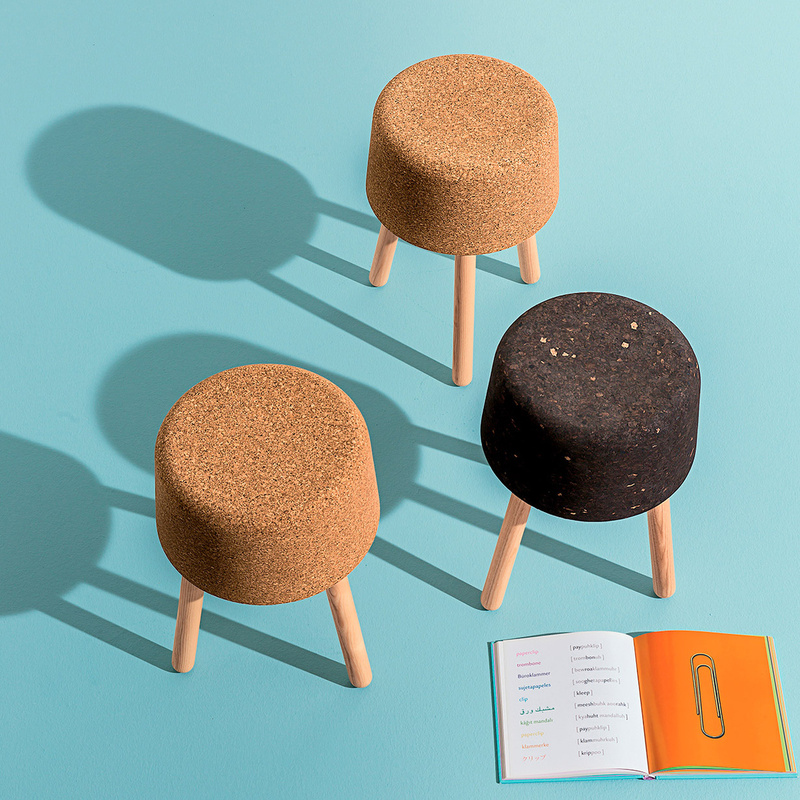 The Bombetta stool comes from cork, a natural and recyclable material par excellence and, characterized by minimal shapes, it adapts to any type of environment. 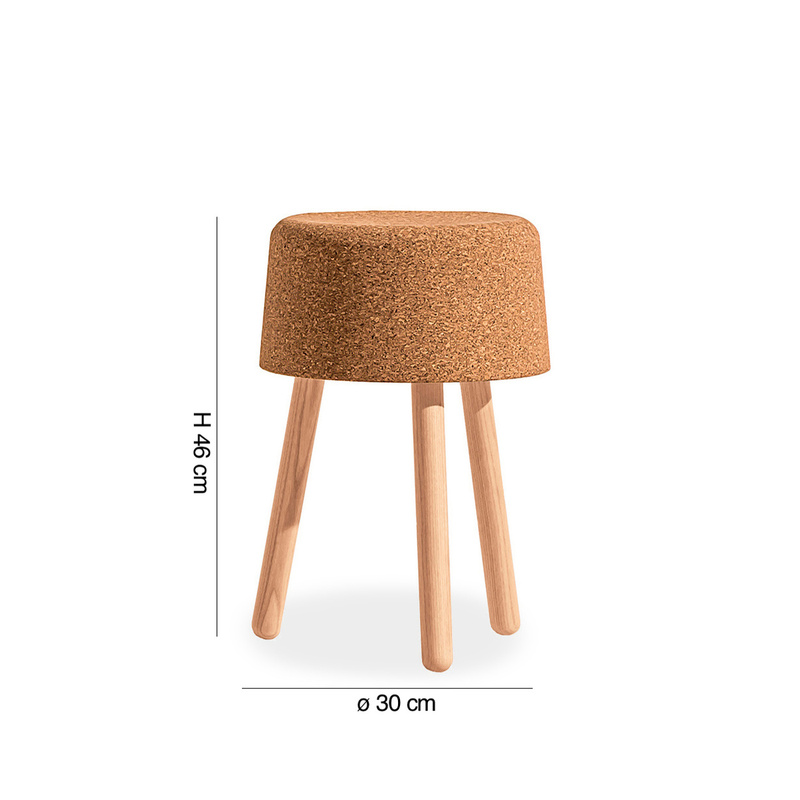 For cleaning this stool it is advisable to use a soft cloth moistened with water and neutral detergents.